I loved this sink. It is prettier in person than the pictures. 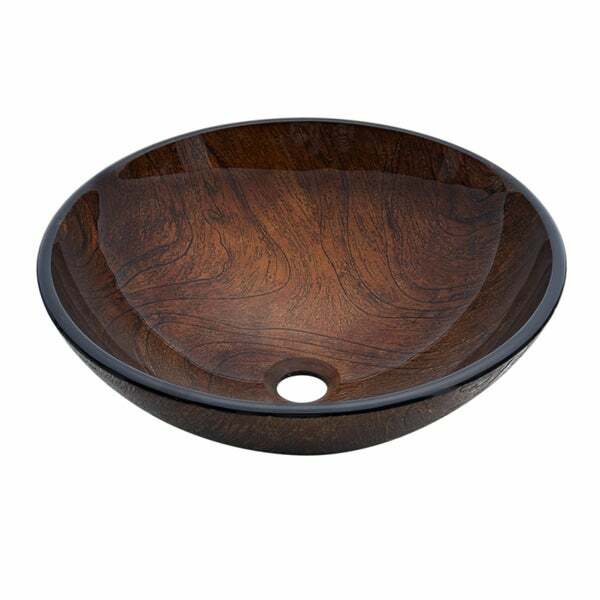 This brown glass sink adds timeless style to any d�cor. The sink features a distinctive round design to integrate elegance into your home. Dawn products are designed to create a harmonious combination of pragmatism and elegance. Dawn vessel sinks are engraved, have tempered finishes, hand painted and are formed from glass or ceramic. Our vessel sinks complement the latest trends in both modern and traditional bathrooms but still hold on to their uniqueness. Nice sink, however not at all like the picture. This bowl has lots of gold shiny flakes & veining in it! And lots of orange. Not happy with this purchase.